The English diplomat, mathematician and inventor Samuel Morland, interested for us in the context of his three calculating machines (see calculating machines of Samuel Morland) was born in 1625 at Sulhamstead Bannister, Berkshire, England. He was the son of the Rev. Thomas Morland, a rector of the parish church there. Morland entered Winchester School in Hampshire in 1638 and in May, 1644, he entered as a sizar at Magdalene College, Cambridge, where he graduated in 1649 and stayed as a fellow until 1653. In November 1653, Morland was included in the retinue of the James Whitelocke, on an embassy to the Queen of Sweden for the purpose of concluding a military alliance. Whitelocke describes him as a very civil man and an excellent scholar; modest and respectful; perfect in the Latin tongue; an ingenious mechanist. 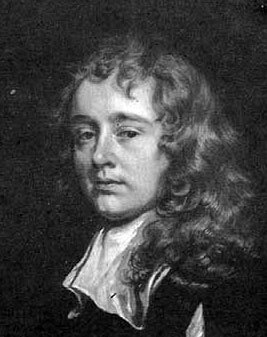 Upon his return from Sweden in July, 1654, Morland was appointed as an assistant to the secretary (Clerk of the Signet) of the Lord Protector Oliver Cromwell—John Thurloe. His most substantial role under Cromwell was in intelligence-gathering, including developing devices for postal espionage: instruments for opening, deciphering, copying and resealing intercepted communication. In the beginning, Morland was a keen supporter of Cromwell, but being a witness of various intrigues, especially this to induce King Charles II and his brother to effect a landing on the Sussex Coast and to put them both to death the moment they disembarked, Morland endeavored to promote the Restoration. He is said to have given warning of an impending plot to murder Charles II and afterwards very nearly lost his own life when Cromwell became suspicious of him. Morland eventually went to Breda, Holland in 1660, bringing with him letters and notes of importance. The King welcomed him graciously and publicly acknowledged the services he had rendered for some years past. The King made him liberal promises of future preferment but these were, for the most part, unfulfilled. And yet, the King made him a knight, and on 20 May, 1660 Morland became a baronet (of Sulhamstead Banister), later on a Gentleman of the Privy Chamber and Clerk of the Signet. These titles and a pension of £500 a year, granted by King however, didn't made him rich, thus in 1661, as Morland related in his autobiography—finding myself disappointed of all preferment and of any real estate, I betook myself to the Mathematics and Experiments such as I found pleased the King's Fancy. Samuel Morland was one of the chief mechanicians of his time. Besides two arithmetical machines, which have been already mentioned in the description of the Morland's calculating devices, he as was credited for inventing of various machines. In 1661, a Royal Warrant was issued for a grant to Morland of the sole use, during fourteen years, of his invention for raising water out of pits to any reasonable height by the force of air and powder conjointly. In 1666, Morland obtained a patent "for making metal fire-hearths". In 1671, in his treatise Tuba Stentoro-Phonica: An Instrument of excellent use, as well at Sea, as at Land, he invented the speaking-trumpet, an early form of megaphone. In 1675 he patented a plunger pump capable of raising great quantities of water with far less proportion of strength than can be performed by a Chain or other Pump. Morland later won a contract to provide mirrors to the King and to erect and maintain the King's printing press. He also designed a machine to weigh ship's anchors, developed new forms of barometers, and designed a cryptographic machine. In 1681, he was appointed magister mechanicorum (master of mechanics) to the King for his work on the water system at Windsor. The whole life of Morland was full of all kind of problems—financial, scientific, health and family. We was constantly short of cash, spending a lot of money for his machines and experiments. He was married 4 times and 3 of his wives died young, from the last he obtained a divorce in 1688. He had 5 children, but before his death, he disinherited his only son—Samuel. At the end of his life, he began to go blind, losing completely his sight about 1692. Sir Samuel Morland died on 30 December, 1695.